For me, at the beginning, Slideshare was a simple social network where I could just upload a presentation I’d prepared for a class or event, period. But then I took a closer look at this platform and saw some tremendous opportunity. Even if you are a marketer, a niche specialist or a brand, you can definitely take some great advantages out of it. If you are interested in the B2B industry, then you should look at the way Slideshare gains 500 percent more traffic from business owners than Facebook, Twitter, YouTube and LinkedIn. Do you want a platform that has more than 20% visitors coming directly from Google? Slideshare is the answer. Do you want a platform where Infographics, Documents, Presentations and Videos are like a family? 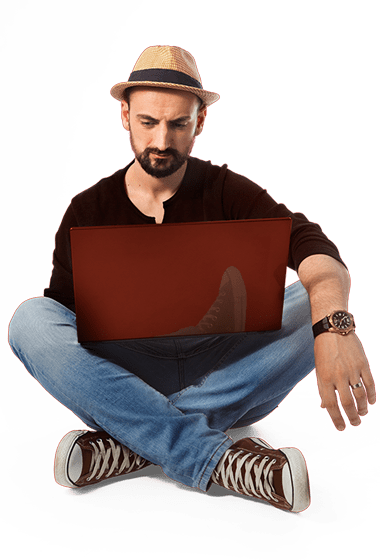 Do you want to be seen on a platform that has more than 70 millions unique visitors / month? In 2013, Mary Meeker’s Internet Trends 2013 report became the most viral presentation on SlideShare: it got 1 million views in just four days – and it keeps going up every day. Now think about this: what if, after you write down you article, hit the publish button and share it on social media, you could re-post your article in a visual content that can be featured on a platform which has more than 70 millions professionals who want to learn about a specific topic from a subject matter expert? Exactly. The platform was found in 2006 and joined the LinkedIn family in 2012. Since then, Slideshare got some serious numbers: 18 million uploads in 40 content categories, and it is today one of the top 100 most-visited websites in the world. If you are interested in design and content marketing or you need another great platform where your brand can develop a content marketing strategy, then you should check out Slideshare! The goal is not to create more content but to create enough content to influence a desired behavior. This platform has two important places where every Slideshare user wants to see his work: ‘Featured’ Section and ‘Top SlideShares‘ Section on its front page. So after I got featured several times, I’ve considered sharing with you my ideas and thoughts on how you should create your Slideshare presentations and why you should be more interested in this platform. I will divide this article in 3 main subjects that matter when you want your presentation to be featured: trending topics, design and distribution. If you work in the design industry, social media or even carpenter you definitely have a trending topic everybody talks about. Because everybody wants to talk about a hot topic and everybody has a theory about it, but not so many people are take the risk to be the leader in the industry and start to educate others about it. This is why when you want to design a Slideshare presentation, you should look for the trending topics. And there are a lot of tools to help you find the best topic to talk about. I recommend you to start using Twitter more for listen and less to distribute your links (yeah, I got this from Gary Vaynerchuk). Because people like to talk about ideas, theories and other events which happen around the world. So go to https://twitter.com/search-home and start looking for what your industry is talking about, or just look up what the trending topics are at the moment. Now that you know what people are talking about, I recommend you to go in the Slideshare Search button, type your industry name and see what others had created about your industry topic. And now that you know what people are talking about, what other Slideshare users designed about that topic, you need to start the research part. Start answering these question for your topic. Getting featured on Slideshare is not an easy work to do. Why? 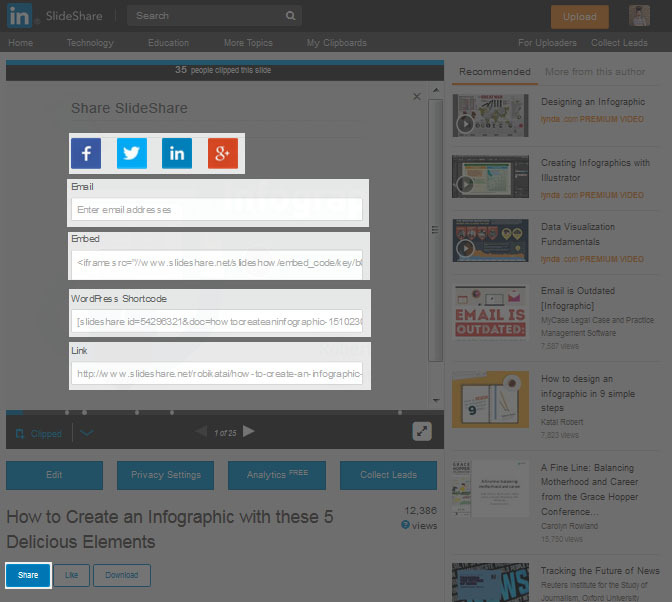 Because Slideshare’s homepage is manually curated by its editors. So think about your audience and yourself when you start creating a presentation on Slideshare. What can my audience learn from this presentation? Why should they care about it? Why is this important now? At Bannersnack, we always look for what our audience want in that moment and how we can help them with our content. We knew that our audience works in the design and advertising industry, this is why people always want to learn something new, optimize their work and give their best performance. So after we’ve made some research, we found out that the Instagram Ad is an important topic for our designers, advertisers and marketers. So we designed the infographic about the Anatomy of an Instagram Ad. This infographic was featured in major publications, such as Social Times from Adfreak and several niche websites and blogs as Design Taxi or Visual Stan. We got a lot of shares in social media too. But we wanted to distribute it on Slideshare too, so we re-designed it in the presentation format and upload it over there. Here you can see the presentation format. In a few days we got an e-mail where we were informed that we got featured on Slideshare Homepage. Remember, before you start creating a presentation you should do some research about the trending topic, but, most of all you, think about your audience and how your content will be helpful for them. Now let’s get to that important step I personally recommend to be done by a specialist: the design part. This is the part where I want to talk with designers and people who work in the visual industry. Ok, maybe you don’t have money to pay a designer to make this part possible, but I strongly recommend you to work with somebody who understands what is a good design and what is a bad one. If you can’t pay a designer, then you should pay attention here and be very serious about this part. Why? Because this is the step that differentiates your presentation from others. 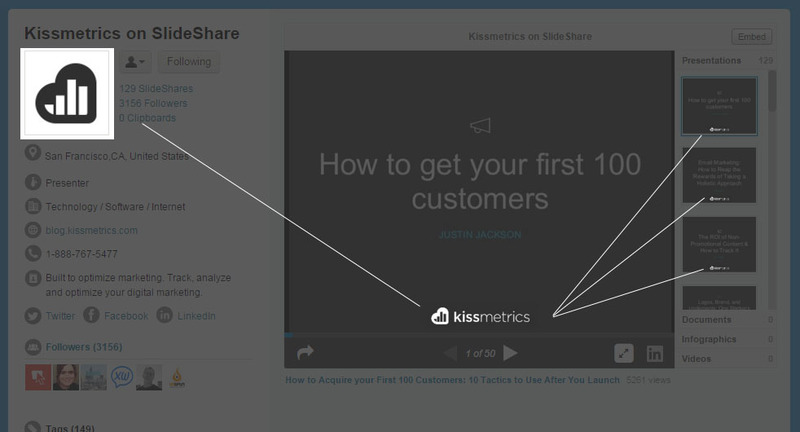 Because this is the step that can propel you on the Slideshare homepage. They say “don’t judge a book by its cover”, but I say you should do it. And even more, you should judge a presentation by its cover. Because if you are not interested in how your cover looks like, then I have my doubts on your presentation content. Here you can see a powerful and well-designed cover slide for a presentation that every designer should look at. And yes, it was featured by Slideshare, and several time mentioned as one of the best examples on good presentations. No wonder it has more than 900,000 views. Would you share it on your social media networks? I highly doubt that. Now you can see how important is the Cover Slide. To get some inspiration on how to create an eye-popping Cover Slide I suggest you go to Flipsnack Browse page and look on how magazines are designing their own covers. What is an interesting headline? Something that sounds good or something that made me click on it? An interesting headline should call for your audience’s attention and make people click on your presentation. Be unique with your headline and ultra specific. Tell them in a few simple words what they are about to find in your presentation and even what are about to learn. When I designed this presentation I used simple words: How to create a Professional Infographic! In this clear headline you can find a useful (educational) title which tells you how to make not just infographics, but professional infographics. I knew my audience wants to make only professional content that converts and gets more leads.Some of the Slideshare users write headlines that convey a sense of urgency – this is also ok. It depends on your audience and yourself. Think about them and be transparent! If you want to create a professional presentation that can get featured, you should start looking at high quality content to create it. And when I say content, I mean professional fonts (especially the readable ones) and high quality images (yes, my friend, you can have stock photos or just good looking one). So please, stay away from a text that is hard to read. Even if it looks great and you want so much to use that font! It’s not about you, it’s about your audience. Use simple fonts and don’t use too much text. I’d say to not use more than 20 – 24 words on a slide. You can read my article where I write the 5 steps to help you design a Slideshare Presentation. Think about this, the editors from Slideshare want to have a good looking homepage with great presentations featured and they are looking at how you designed your presentation. If it looks good, you have one more reason to get on top of Slideshare. So be a professional! For me, branding is important. Even if it’s only about a person or a company. If I look at a Slideshare presentation, I want to know who made it. This is why every Bannersnack Slideshare presentation has a brand differentiator – even if we talk about the logo, the name or a graphic design element. With branding you can build trust among your audience and people will click on that Slide. But please, keep this is mind! Don’t use too much of your brand in the presentation. Once again, it’s not about your brand, it’s about your audience and you want to help your audience with this piece of content. When it’s too much branding (bigger logo, for example) it looks like somebody was too desperate to gain some attention. So be briefly and use fewer words and more visuals. Images are processed by the brain 60,000x faster than text and also gets more shares on social media. 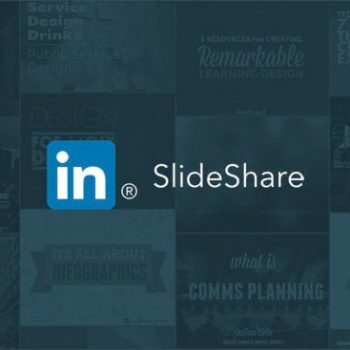 Slideshare is that specific platform that helps you to connect with your audience in a visual manner. Also, don’t make more than 30 slides on your presentation. Keep it short between 10 and 30. I have only one presentation that has more than 31 slides. After you’ve finished designing your presentation and uploading it on Slideshare, you should think about how to distribute it. How could you distribute your Slideshare presentation? Using social media networks and e-mail. By embeding it on your platform/blog. At the bottom of your Slideshare Presentation, you have 4 social media share button: LinkedIn, Facebook, Twitter and Google+. You to use every one of them, but don’t forget that every platform has its own audience. So speak in their language! Here is my tip: use Slideshare presentation to gain more engagement on LinkedIn. Why? Because LinkedIn acquired Slideshare in 2012 and they do have a special relationship. Distributing your presentation on your social media channels can help you gain more views and also get more shares and followers. Furthermore, when you share it on Twitter, don’t forget to mention the @Slideshare account 🙂 – maybe they will notice you easier. These are my 4 simple tips to help you get featured on Slideshare. Don’t forget to start analyzing social media, get your trending topic, design a professional Slideshare presentation and distribute it to your community. You can find more interesting tips on the Slideshare Blog. If you have any other tips on how to get featured on Slideshare, please let me know in the comments bellow.